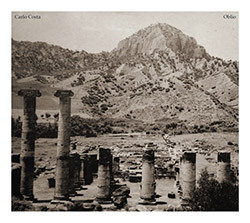 New York-based Italian percussionist and Neither/Nor label leader Carlo Costa in a solo percussion album of two pieces using drum set, concert bass drum, singing bowls, bells, triangles, wood blocks, tiles, styrofoam, cymbals, violin bows, marbles, chains, knives, and other objects, creating fascinating alien soundscapes of momentous activity without histrionics. 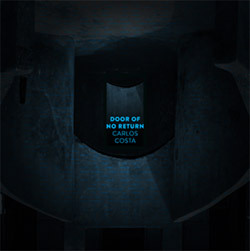 Double-bassist Carlo Costa, originally from the Canary Islands and who has worked with Tim Berne, Tomas Fujiwara, Ingar Zach, Wade Matthews, &c. in a solo album of solid and unusual bass technique including plucking, bowing and scraping, in his 9-part series of "Doors". 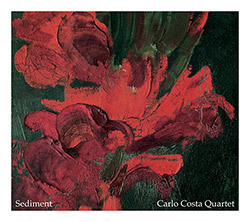 A new NY label from percussionist Carlo Costa in its 1st release, a quartet with Steve Swell on trombone, Sean ali on bass and Jonathan Moritz on sax, presenting an improvisational language that subsumes the individual players into a distinct group sound.